Inform Racing System Builder Profits - 10 ready made systems for you. A superb 795 points profit made in 2018, or £7,950 using just £10 stakes. Plus another 68 points for the place bets too. (We have now included 2 further systems, making it 12 in total and these 2 new ones add a further 150 points profit to results for 2018). Using the Inform Racing System Builder will dramatically change your approach to betting and how you find your bets. 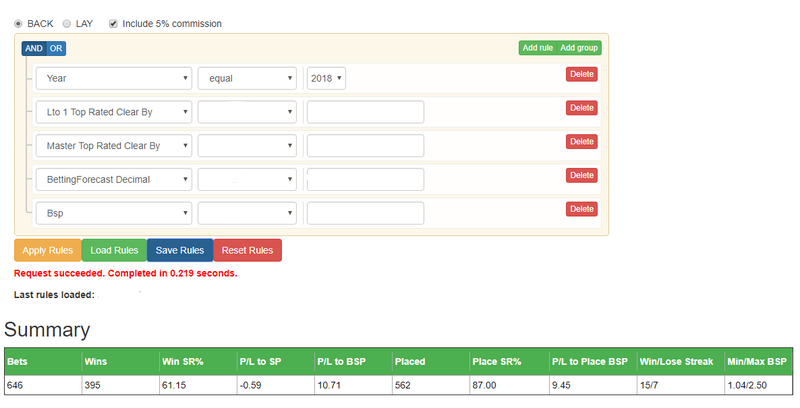 By testing what has worked in the past using over 70 categories of past form and speed ratings data, you will be able to see what is more likely to win in the future. And therefore be able to profit from this knowledge. By being able to see the past strike rates for these systems, the number of winning and losing runs and profits that have been made, you can take this info into the future and start winning more. 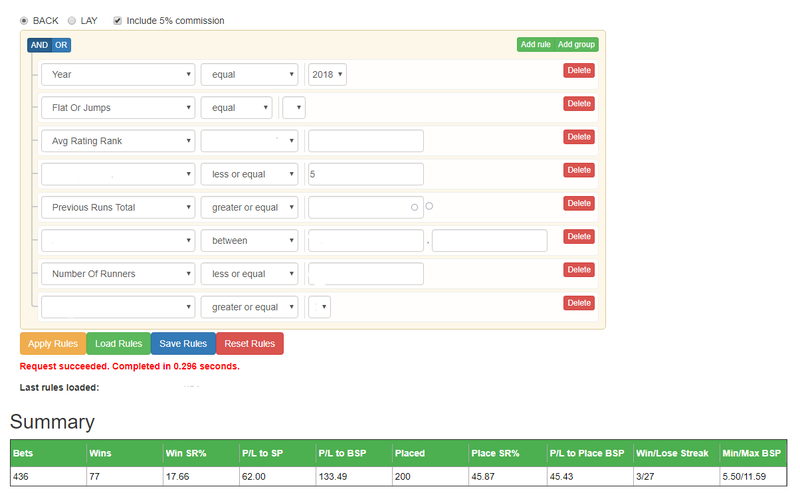 There are 10 systems here using the system builder and all of them have made a level stakes profit over the full 12 months of 2018. 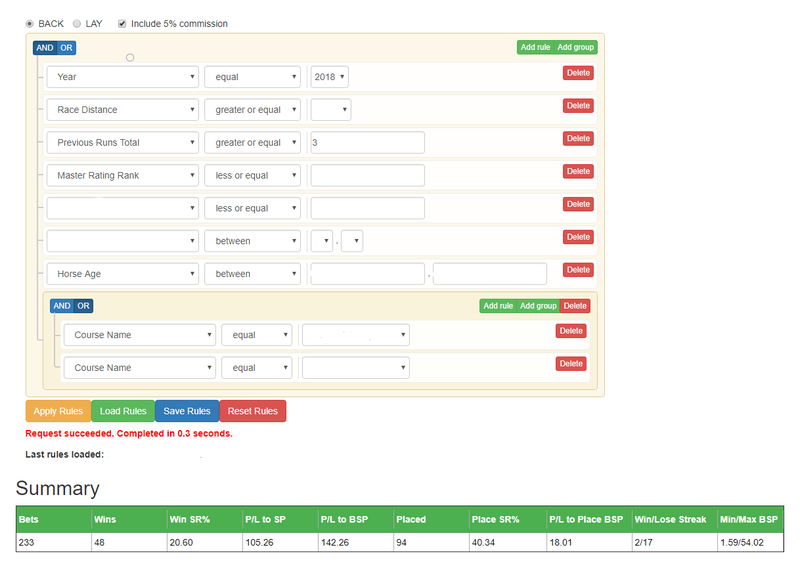 There are 9 backing systems and 1 laying system, with 3 of the backing systems making over 120 points profit alone and the laying system that only had 2 losing bets out of the 72 bets during the year. I think you may be surprised by this one when you see the top Trainer in question and the types of races the bets are taken from. It takes a lot of time and effort to find these systems and perfect the rules so there is a small charge to download these, but when you see the possible profits that can be made, I am sure you will feel it is justified. If you have the System Builder,which comes with any Inform Racing subscription, you can simply load the saved systems into the software and then apply the rules. 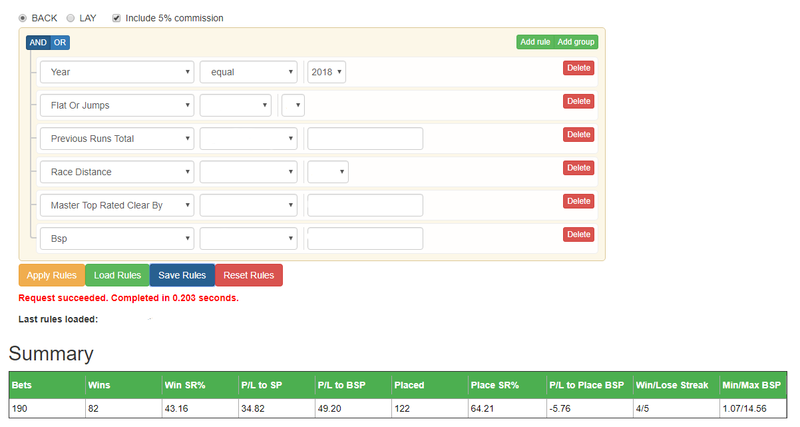 Some of the systems have made excellent profits and some not as much but they have all made a profit and some of those with smaller winnings have extremely high strike rates and very short losing runs, so there should be a system to suit everyone. All profits are shown to level stakes and shown to a £1 bet at Betfair Starting Prices, including a deduction of 5% commission on all winning bets. So a profit of £50 for example, means you would be a £500 profit if using £10 stakes or £1,00 profit if using £20 stakes. On some of the systems the place bets have made a profit also and this has been added to to the total made over the year. You can of course take these base rules and tweak them yourself or just use them as they are, it's up to you. 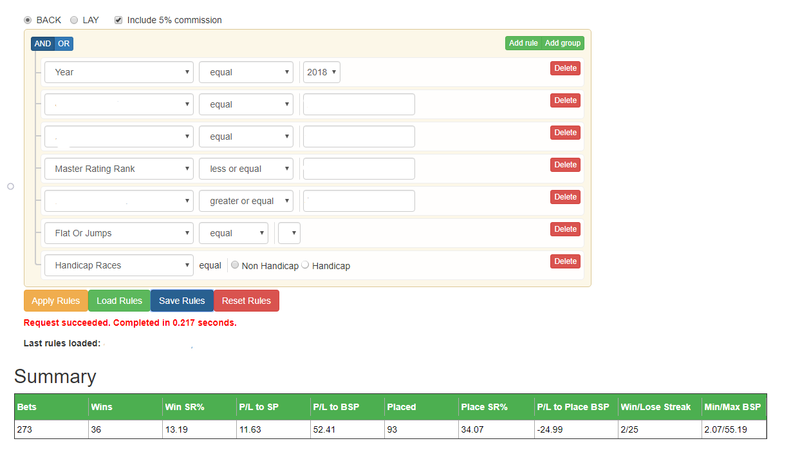 What it does show is how you can use the System Builder very simply to create profitable betting systems and in the example of the Laying system, how you can use Trainer stats to see just what sort of races a Trainer excels in and also those that they don't. As I already mentioned, I think many would think the Trainer in question and the races used here would more than likely show a profit from backing all of his runners and not a loss, but only 2 winners came from 72 runners and the losing lay prices were just 1.72 and 5.5. I think these 10 systems will show just what the Inform Racing System Builder can reveal for you. Backing Systems 1 - 9 in no particular order with the laying system 10 at the end. You will see on the images below that some of the rules have been blanked out but the summary of results and profits can be viewed in full. When you download the systems and run them yourself you will see the completed category and value boxes and the correct stats as shown here so that you can verify the results. 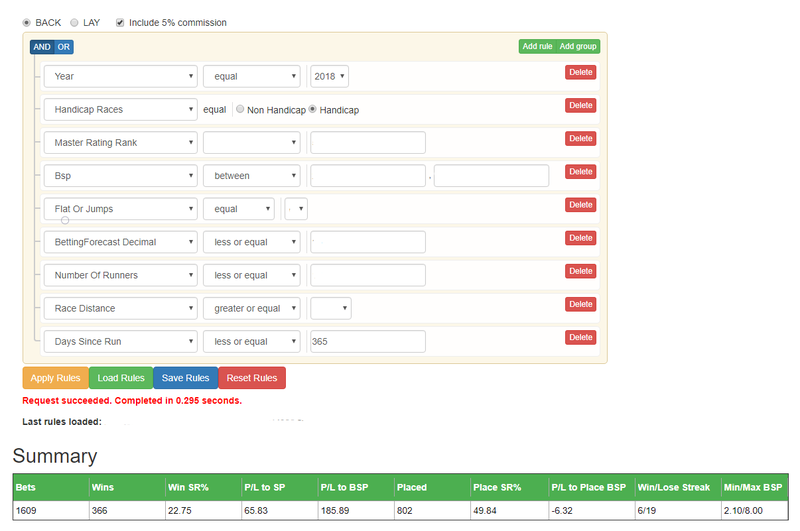 So 10 simple systems above showing over 790 points profit for the whole of 2018. 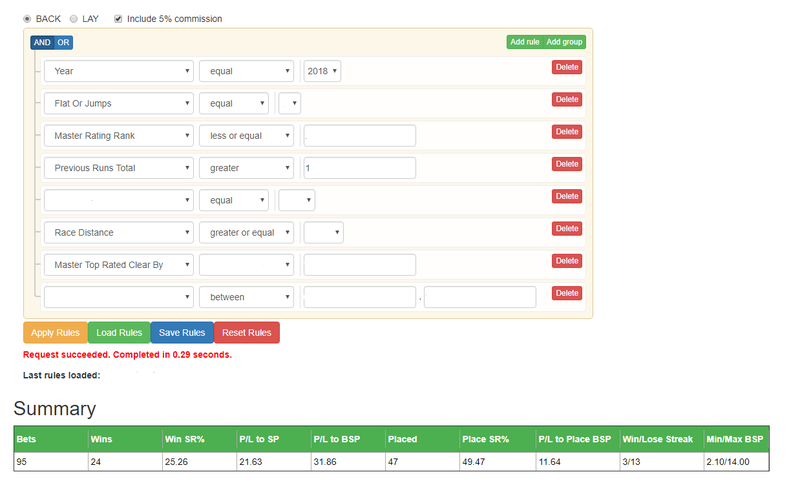 (Plus 2 more we have included that add a further 150 points profit). That's over £9,000 using just £10 stakes in just 12 months. If you already have an Inform Racing subscription and access to the system builder, payment for these systems is still required. Once you have signed up and have access to the system builder, hit the button below and download the system files. Then just download the system files, save them to your computer, upload them and apply the rules. You will be able to do this right after your payment has been confirmed.